Mr. Markus TREPPENHAUER, General Manager of the Fairmont Olympic Hotel, would like to welcome you to Seattle and is excited to share the hotel's 90+ years of history and heritage. 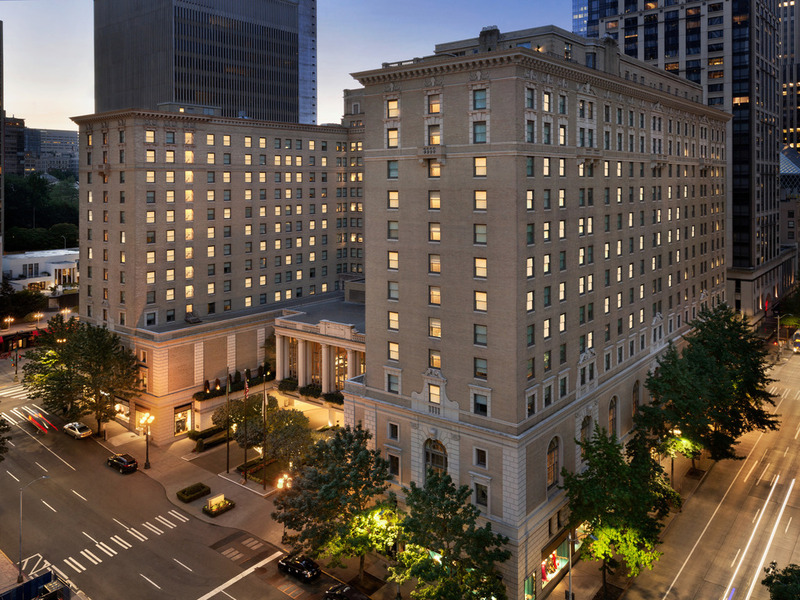 Fairmont Olympic has recently renovated rooms and a refreshed health club, valet and concierge services and two exciting restaurants. Elegance surrounds you as you enter the recently renovated guest rooms and suites at the Fairmont Olympic Hotel, Seattle. Our 450 hotel rooms feature lavish bedding, luxurious amenities and conveniences such as high-speed wireless internet access and spacious bathrooms with marble vanities and adjacent dressing area.In Room Dining Service 6:30 - 23:00. The Georgian is proud to be the only downtown Seattle dining establishment offering traditional afternoon tea service in elegant surroundings. The Georgian sets the mood with high ceilings, large Palladian windows and spectacular chandeliers. The Georgian, celebrating 25 years as a AAA 4 Diamond restaurant, features French-inspired Northwest cuisine by Executive Chef Gavin Stephenson in Seattle's premier dining room. Open for breakfast, lunch and tea or for private events and weddings. Enjoy delicious seafood and Rooftop Honey Ale on tap at Shuckers. Boasting hand-carved oak paneling and a unique tin ceiling of the haberdashery it once was in the 1930's, Shuckers Oyster Bar is one of Seattle's oldest and most pre-eminent oyster bars. Whether to enjoy a Classics. Perfected. cocktail or one of the many delicious bites, The Terrace is a perfect spot for a relaxing break. Sink into a plush chair, sip on a local wine or craft beer, and unwind in one of Seattle's most not-so-secret lounges. 아기가 있었는데 캐나다 휘슬러 페어몬트에서는 기저귀 휴지통을 비치해놨었는데 시애틀에선 기저귀 휴지통이 없어서 조금 아쉬웟습니다. 전반적으로는 만족합니다. 숙소 침대가 아주 좋았습니다. 그런데 불만사항이 있습니다. 투숙하고 지난지 일주일이 되어 가는 시점인데, 아직도 자기부담금 포함 비용계산이 되어 있지 않았습니다. 빨리 정산해서 완료해주세요. 객실이 깨끗했고 충분이 넓었습니다. 음식도 맛있었고요. 그리고 파이크 플레이스와 가까워서 돌아 다니기도 좋았습니다.